Autograph Poetry in the English Language. Facsimiles of Original Mansucripts from the Fourteenth to the Twentieth Century. 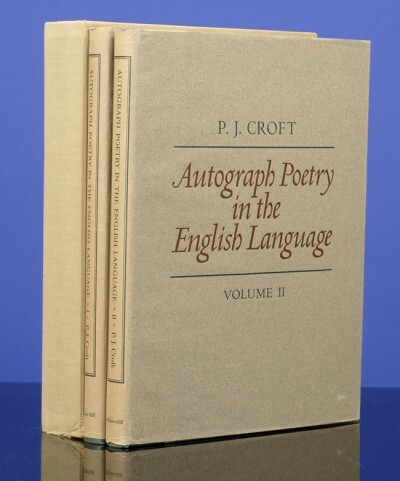 Compiled and Edited with an Introduction, Commentary and Transcripts by P. J. Croft. New York: McGraw-Hill Book Company, .